FAYETTEVILLE, Ark. 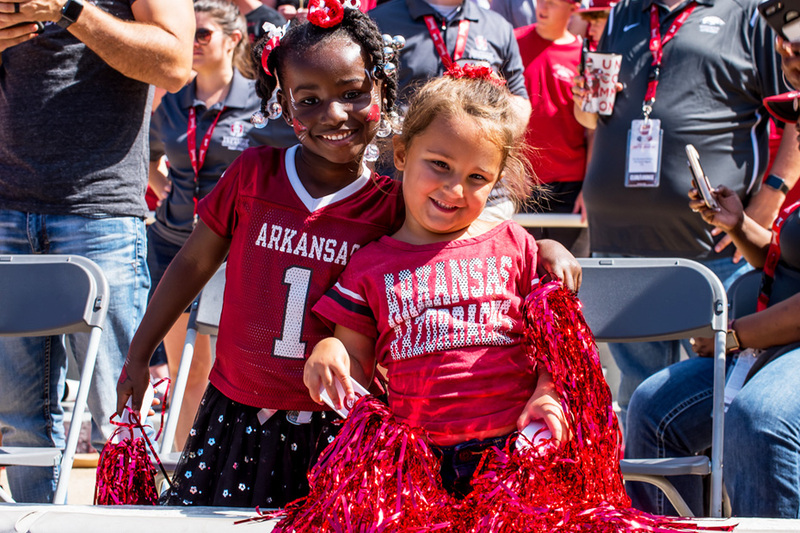 – Join the University of Arkansas Razorback student-athletes in celebrating National Girls and Women in Sports Day on Sunday, Feb. 10. Student-athletes and coaches from several teams and departments will be on hand conducting mini-clinics prior to the women’s basketball versus Auburn in Bud Walton Arena at 1 p.m. Tickets to the game are just $1 as a part of the Pack the House challenge with all kids 12 and under getting in free. The clinics are free and open to all girls between 5-12 years of age. All participants much register in advance – registration will not be available on the day of the clinic. Attendance is limited to the first 150 participants. The clinics begin at 11:30 p.m. in the Basketball Performance Center across the street from Bud Walton Arena. • Check-in begins at 11:00 a.m. inside the main entrance of the Basketball Performance Center, located directly across the main entrance of Bud Walton Arena. • Tickets to the Razorback women’s basketball game are just $1 for adults. Kids 12-and-under get in free with a paying adult. • Be sure to wear pink as we celebrate breast cancer awareness in our team’s annual Play4Kay game. • No equipment needed by participants, however, comfortable athletic attire and sneakers are required. Participants will be put in teams for the event based on ages. We look forward to your daughter making new friends!